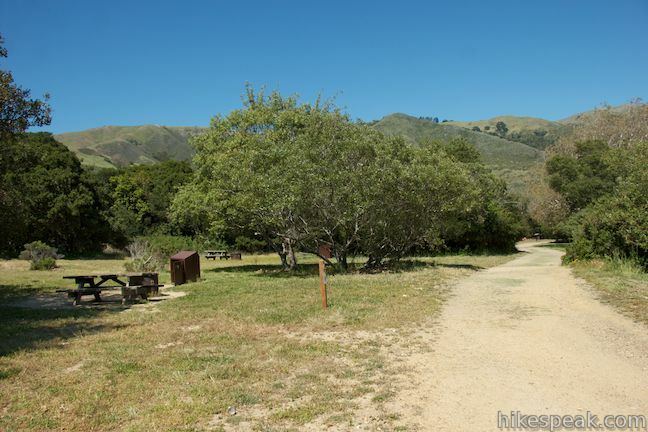 Andrew Molera State Park preserves nearly 5,000 acres of beautiful parkland at the north end of Big Sur. 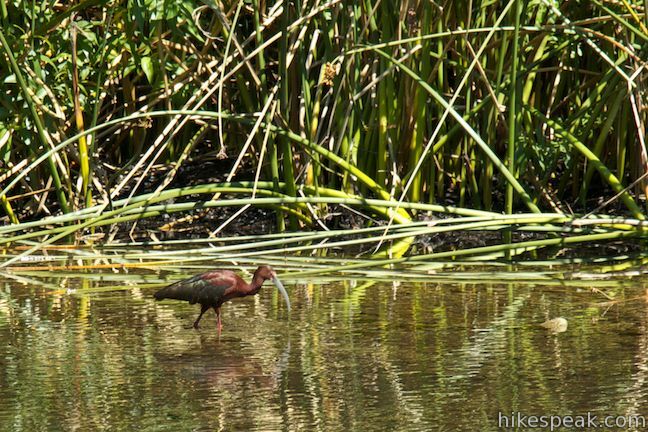 Hikers can explore the park on over twenty miles of trails, including the Ridge Trail – Panorama Trail – Bluff Trail Loop hike. 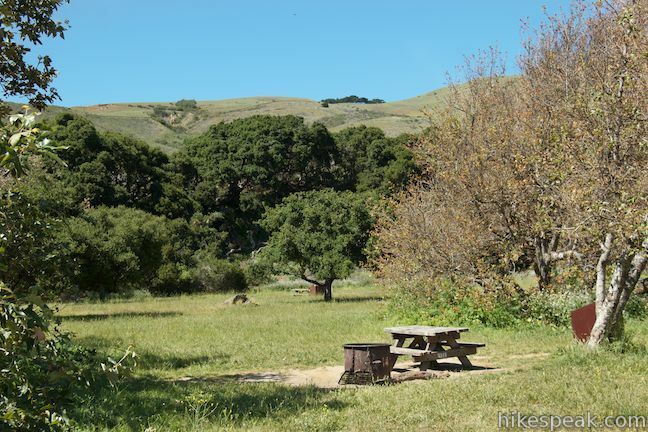 For campers there is Andrew Molera State Park Trail Camp. 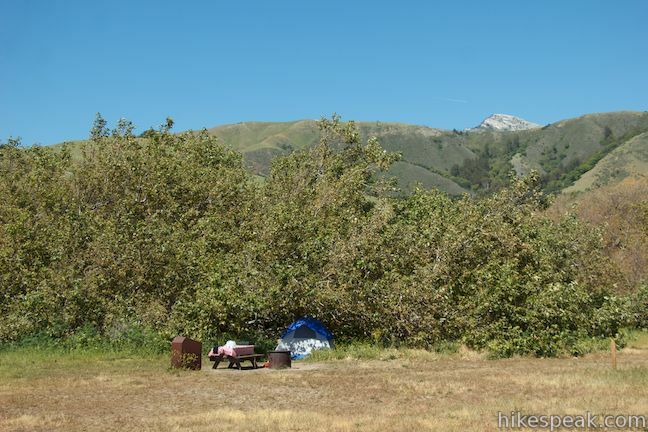 This 24-site first-come first-serve campground is located in a grassy meadow near the Big Sur River and Molera Beach. 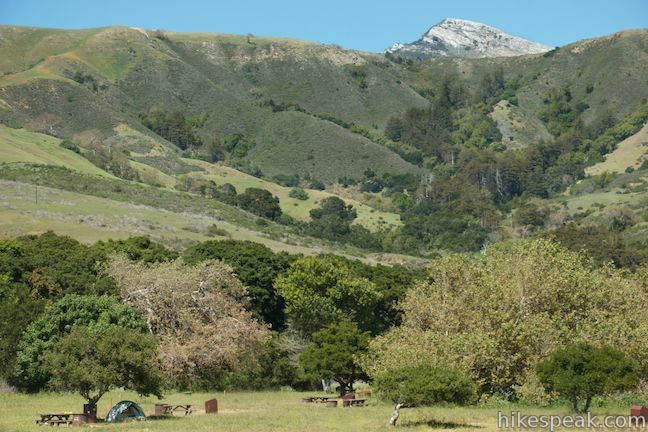 It’s just a short hike in to the trail camp, which has lovely views of the verdant ridges that frame the Big Sur River Valley and provides campers with easy access to excellent hiking trails and beaches. 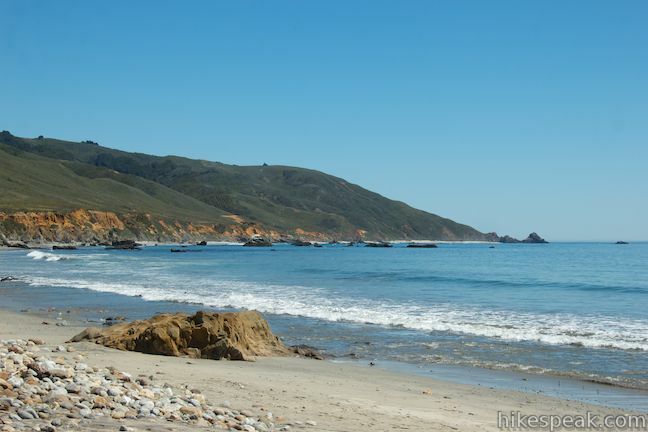 Big Sur is a popular California travel destination and most of the area’s campgrounds take reservations, meaning that they are often completely booked on desirable weekends. 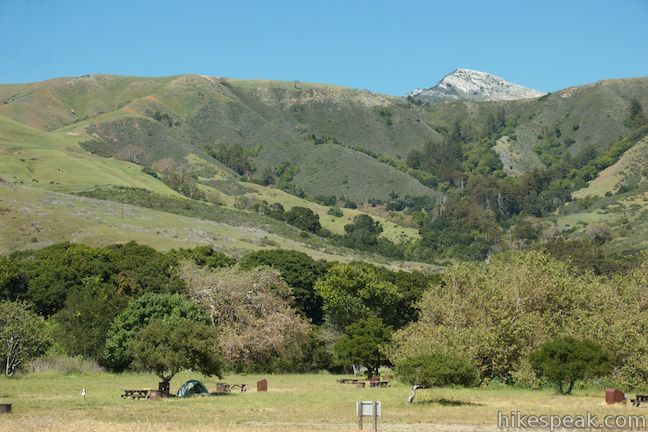 If you’re looking for a place to camp on a last-minute trip to Big Sur, Andrew Molera State Park Trail Camp could be the solution as all 24 sites are first-come first-serve. You’ll need to schlep your camping gear in about 1/3 of a mile to reach a campsite, just far enough to disinterest some visitors without being a real hindrance. 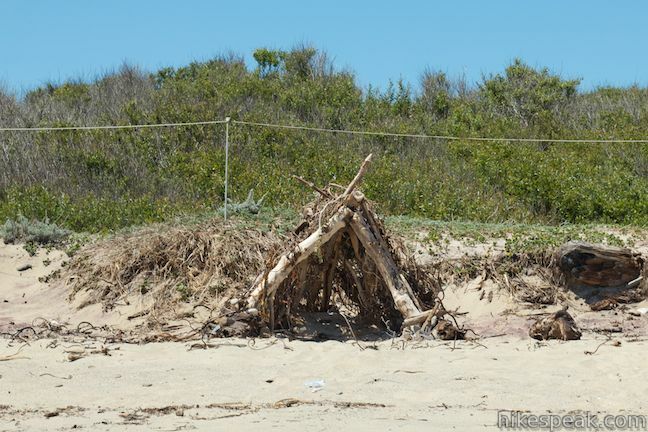 Each campsite is numbered and placed in a grassy plot along Trail Camp Beach Trail. 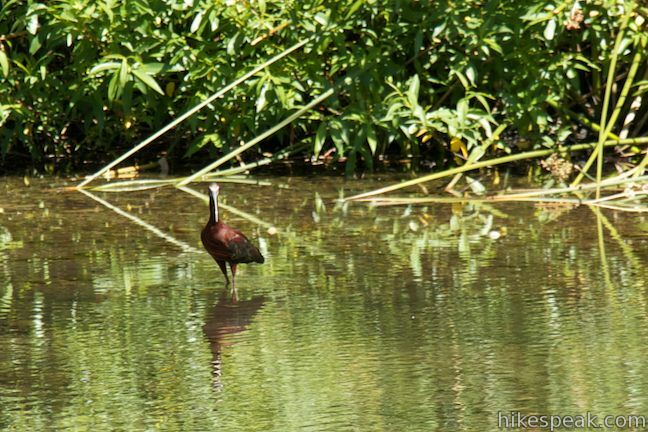 Many of the sites are bordered by trees and brush that provide some shade and privacy. 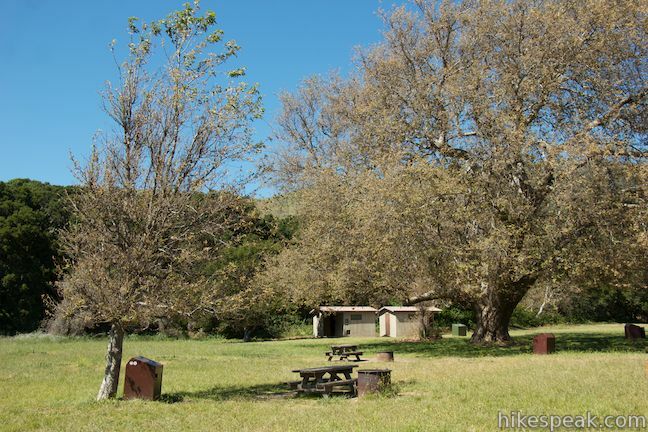 Each campsite comes with a picnic table, fire ring, and access to a food storage locker. 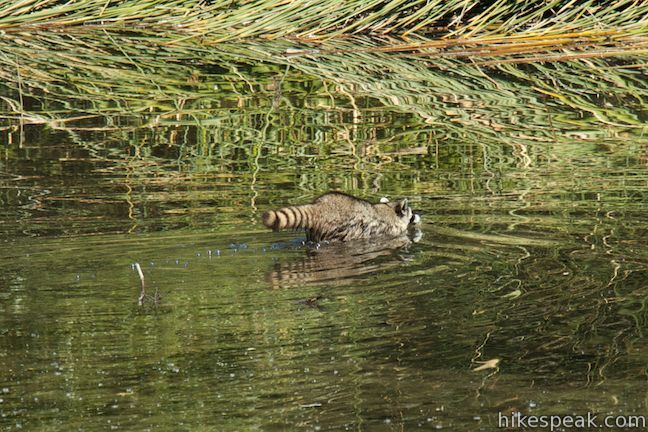 Be sure to keep your food in a locker, as raccoons are known pests in this area. Flush toilets and drinking water spigots are also provided. 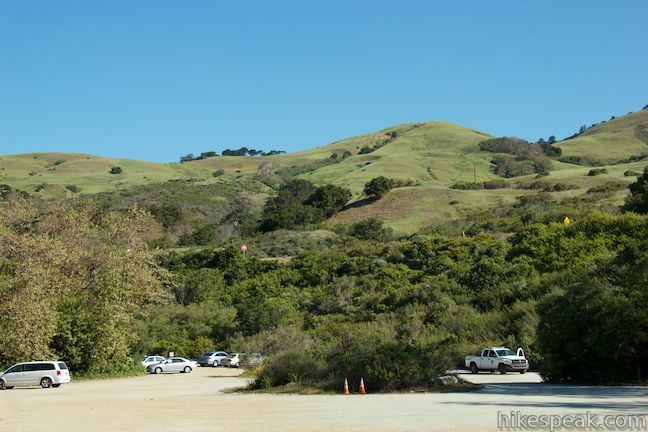 To reach the campground, set out from the north end of the main parking area in Andrew Molera State Park, located on the West Side of Highway One. Be sure not to take the trail that heads west toward the beach from the middle of the parking lot (or your walk-in will be longer than necessary). Instead take the trail from the very north end of the dirt parking lot. 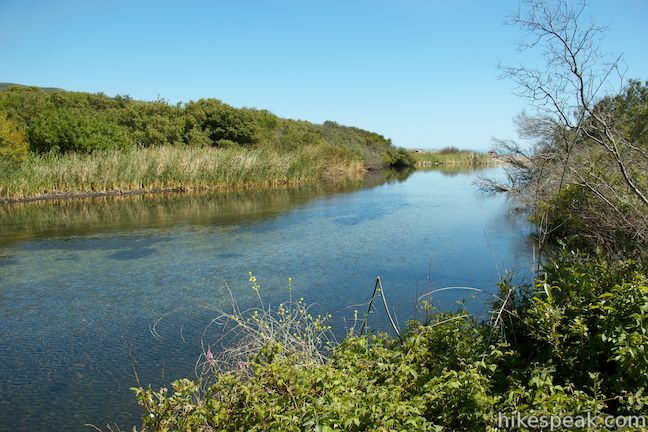 The trail runs alongside the Big Sur River, going over a few little undulations in the terrain. 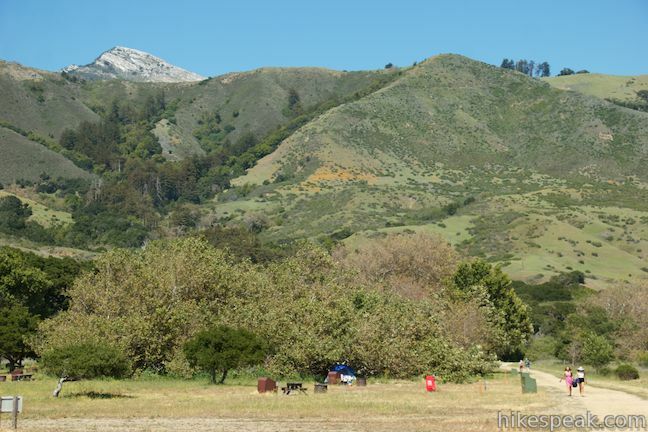 After a quarter mile, you will come to a junction with a dirt park road that comes down to the campground from Highway One. Turn left and you will immediately arrive at the edge of the campground. Continue walking along Trail Camp Beach Trail until you find a site that is open and to your liking. Then set up camp. 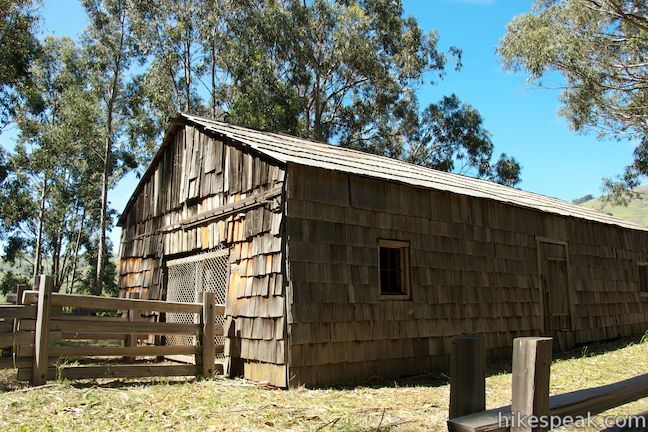 If you walk through the campground and a bit farther along the trail, you will reach Cooper Cabin, which was build in 1861 for the ranchers that worked this area. 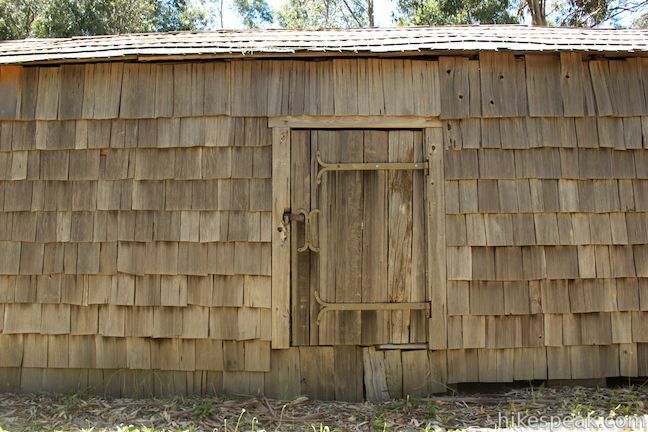 The cabin is the oldest structure still standing on the coast of Big Sur. 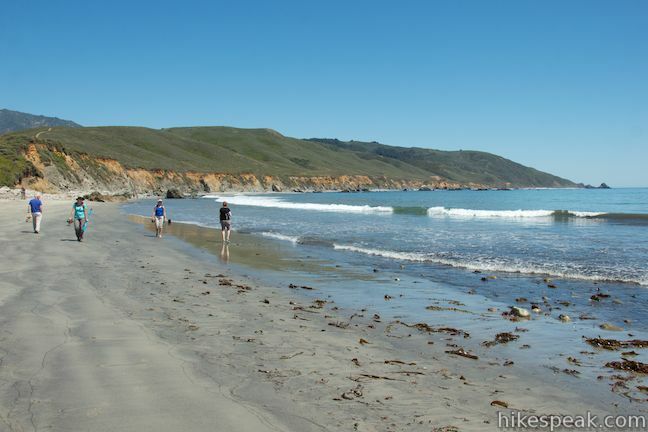 Proceeding down the level trail for another half mile, you will reach a stretch of Trail Camp Beach Trail that runs along the Big Sur River just behind Molera Beach. 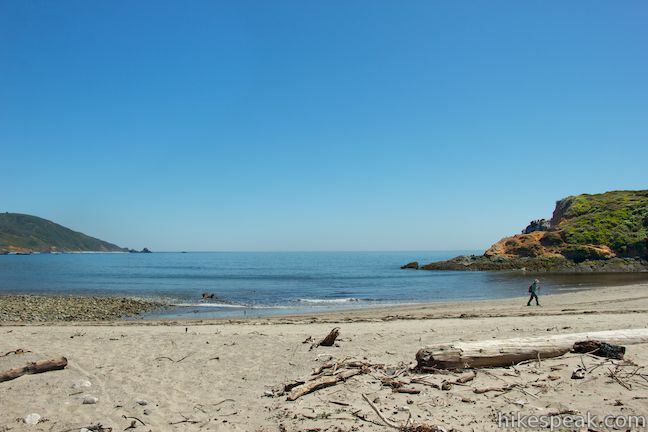 Next comes a junction with Headlands Trail, which parts to the right and goes out to the end of Molera Point on the north side of the beach. 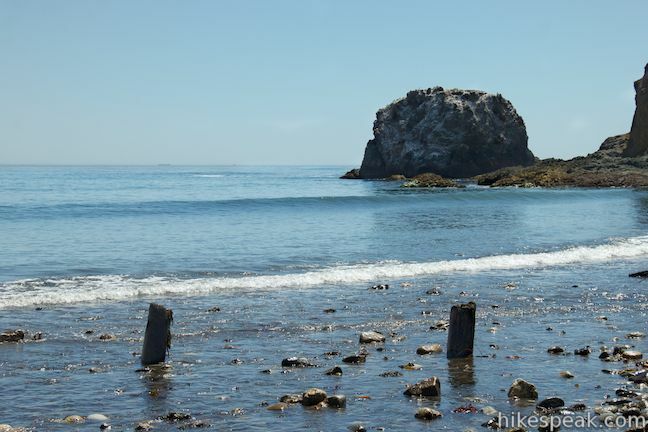 Just past that, you’ll come to the end of the trail at Molera Beach itself. 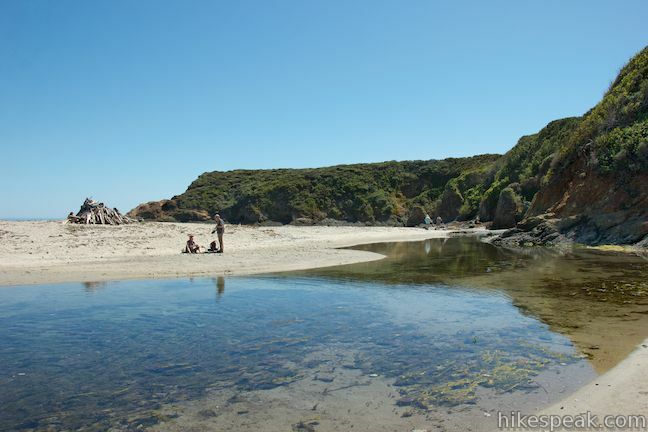 Wade across the mouth of the Big Sur River to reach a pristine sandy cove with great views south down the coast. 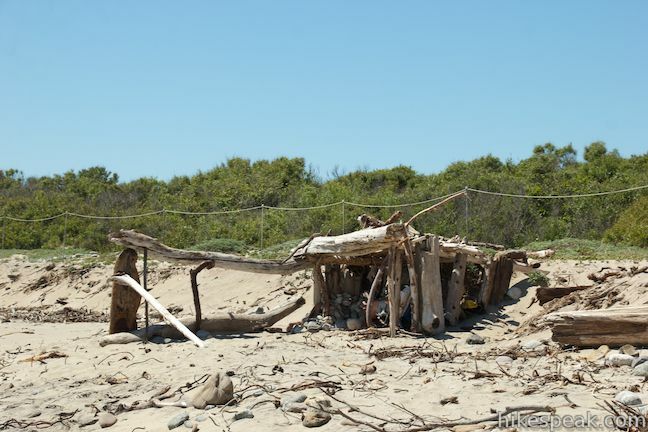 There are driftwood shelters on the beach and purple sand created by dissolving almandine garnets in the bluffs above the beach. 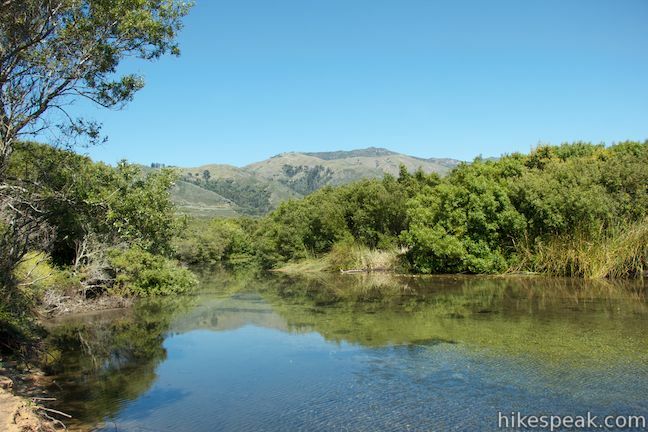 If you want to hike farther in Andrew Molera State Park, check out the super scenic 8.7-mile Ridge Trail – Panorama Trail – Bluff Trail Loop. 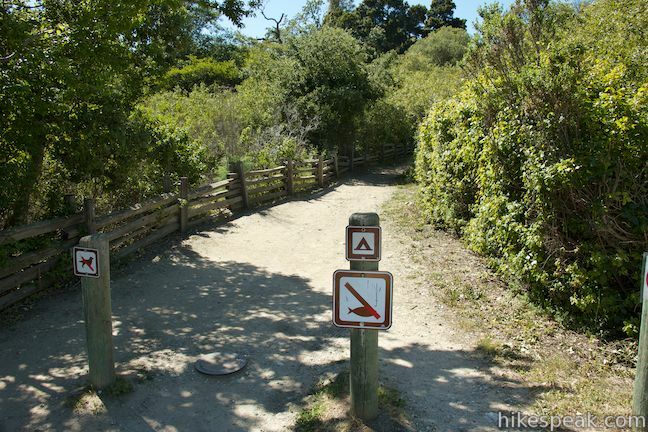 Dogs are prohibited in Andrew Molera State Park Trail Camp and the rest of the park. 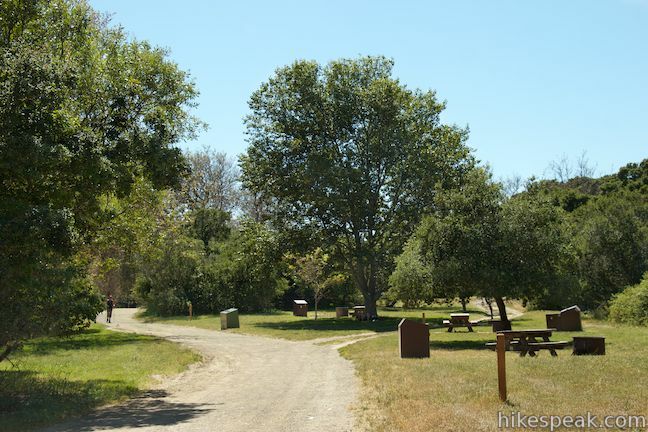 Bikes are permitted on some of the wider trails in Andrew Molera State Park, including the trail to the campground, so you are allowed to bike in to a campsite as well. This is a walk-in bike-in campground, so it’s tent camping only. The maximum number of people per site is four people. There is a fee of $25 per site per night, which includes parking for one vehicle in the lot at the start of the trail. There is an additional $10 fee if you need to park a second vehicle. Don’t rely on gathering firewood. Bring your own or purchase a bundle of firewood from the park for $10 (all prices as of 2016). 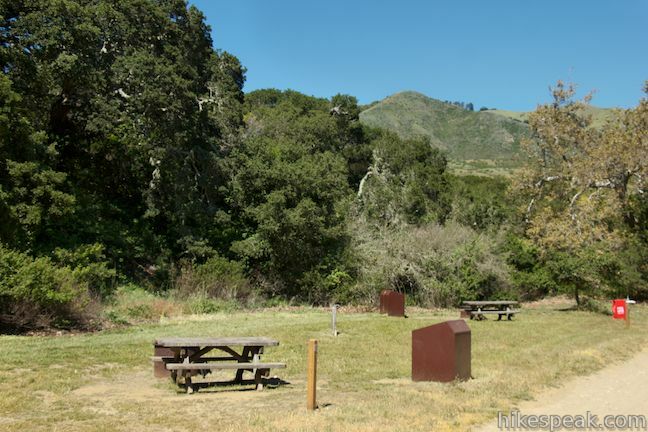 No special permits are required to stay at the trail camp or hike in Andrew Molera State Park. The trail camp is open year round, so come whenever you like. For additional information, please call the park at 831-667-2315. 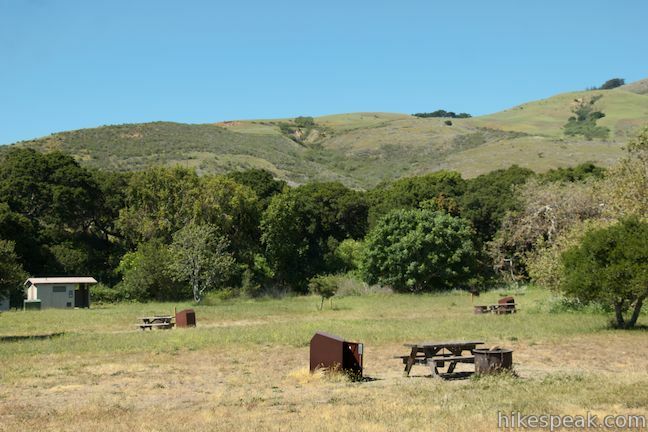 Bad News: As of July 2018, Andrew Molera State Park Trail Camp is closed until further notice because of damage and flooding from winter storms. 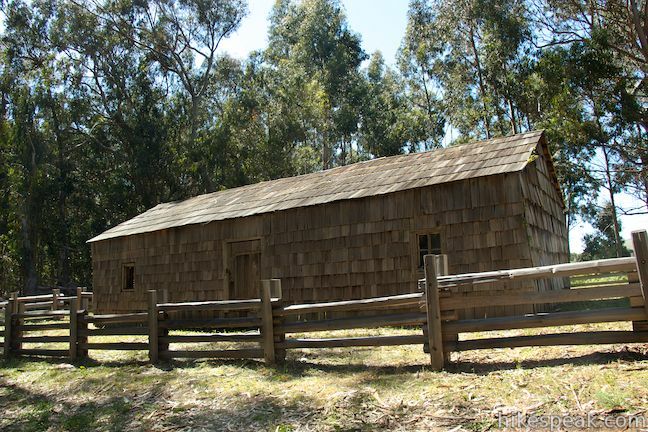 Visit the Andrew Molera State Park webpage for current information. 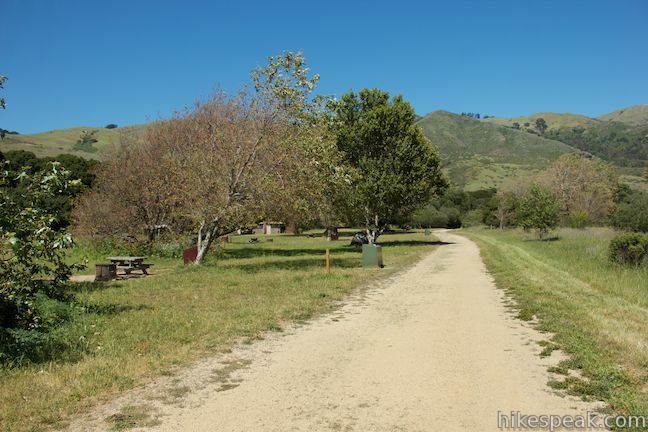 To get to the campground: From the south, drive up Highway One to the Andrew Molera State Park entrance, located on the west side of the road, 4.4 miles north of Pfeiffer Big Sur State Park and 15.4 miles north of Julia Pfeiffer Burns State Park. From the north, drive 22 miles south of Carmel and 8.3 miles past the Bixby Bridge and turn right on the well marked road into the park. The short road curves to the right to reach the entrance booth at the edge of a large dirt parking area. Trail Camp Beach Trail starts from the north end of the parking lot. Hike it for a quarter mile to the edge of the trail camp and find a site.